SEO is very important to flourish a business and make the brand name popular in the market. Around the world, the website will get a position through it and obviously everyone one wants top places. People related to marketing domain knows the tactics of SEO very well but what they are missing is the myth that they are following blindly. 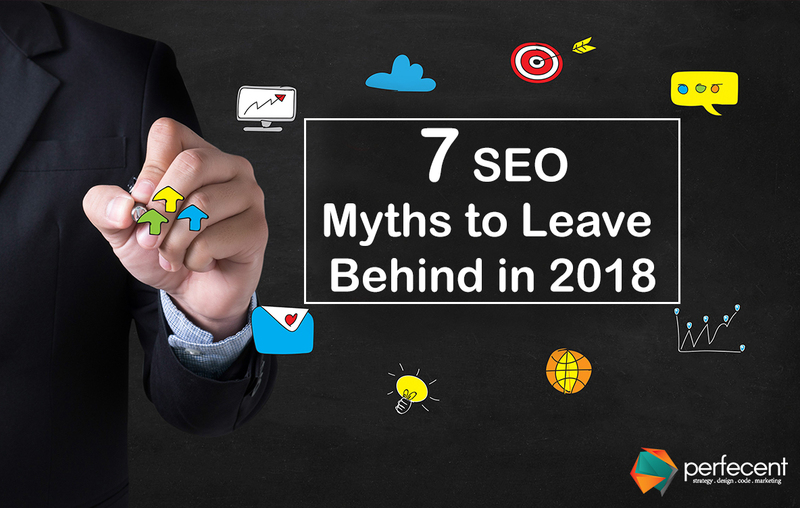 Here are top 7 myth that you should leave behind in 2018. Trust me! Google is not the only source. According to 2017 statistics, Bing has gained much popularity and the graph will rise in coming years. Other search engines also have a market that you can target to get more and more business. Organic ranking can be earned by making your brand worth for the consumers. The marketing techniques are for popularity but cannot get you any position if your products are not able to satisfy customers. High paid ranking is a source to get traffic and popularity but cannot grant you organic traffic all the time. Some other ways that include less money can play a vital role in granting your brand good organic ranking. SEO is a continuous process that needs time to time attention. Once you raise your brand name by putting great efforts for SEO but if you will leave working on it, competitors will quickly take your position and soon your name and will fade away. Rand Fishkin of Moz. Conducted an experiment to cross-check CRT effect. He asked the Twitter audience to Google a particular thing, click on the very first result, and bounce back, then click on another result and stay there for some time. The result was against expectations. The other search result shifted to the first position. Keyword ratio doesn`t matter but if you know searcher`s intent behind any specific query you can rock the SEO process for any specific website. So, keywords are very important that’s why authority platforms like YouTube, Facebook, Twitter etc. still rely on keyword targeting. If you are not bombarding spam blogs and running for the links vigorously without having contacts then relax guest blogging will pay you with organic traffic and sales. Keep the links to your site within the content and generate relevant, high quality and well-managed content. Technically speaking there is no particular difference between guest blogging and other varieties of content. So keep on hitting the market through your blogs. This can be a fraud as many of the domains are banned from Google index but dealers are still trying to sell them. You can end up losing great money by such spams so always cross- check the historical backlink data and the snapshots in Web Archive. Hopefully, you will be convinced to drop the myths behind, after reading this blog. If you still feel any confusion check yourself and then decide.